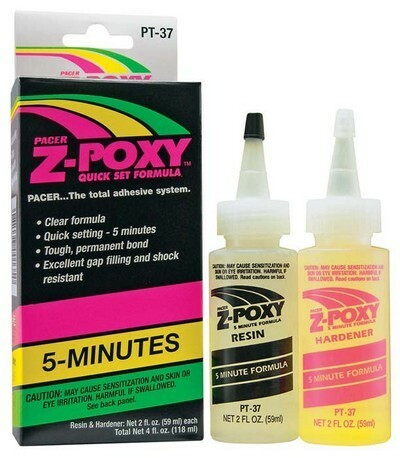 Z-poxy 5 min 4oz Epoxy Adhesive is a fast setting adhesive specially formulated to bond to fiberglass, wood, metals, and plastics. 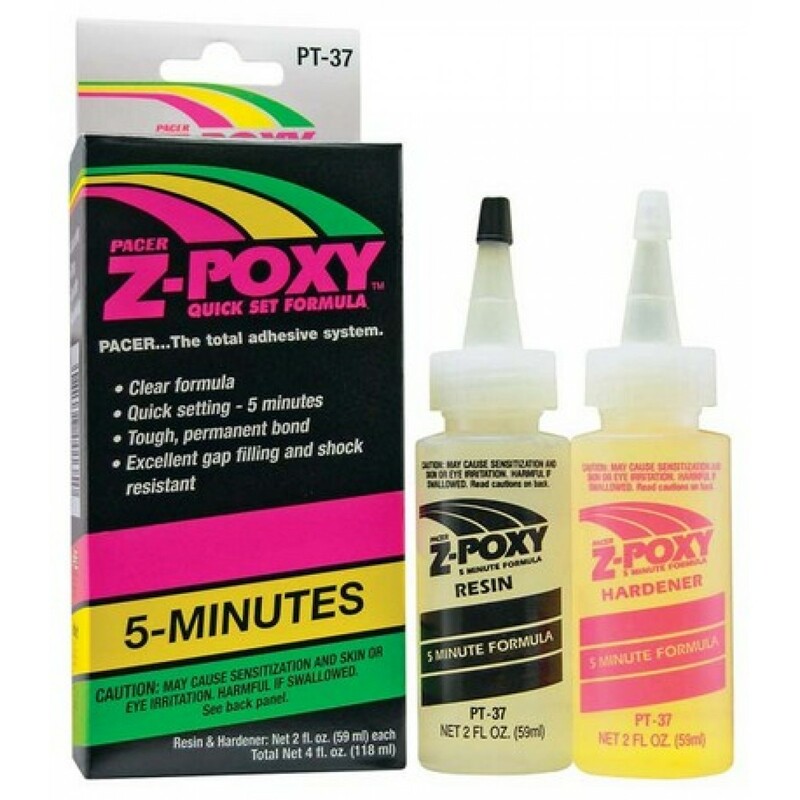 INCLUDES: 2oz of 5 Minute Z-Poxy Resin 2oz of 5 Minute Z-Poxy Hardener. Resistant to shock and solvents. Non-brittle, non-shrinking. Produces a tough permanent bond in just 5 minutes. 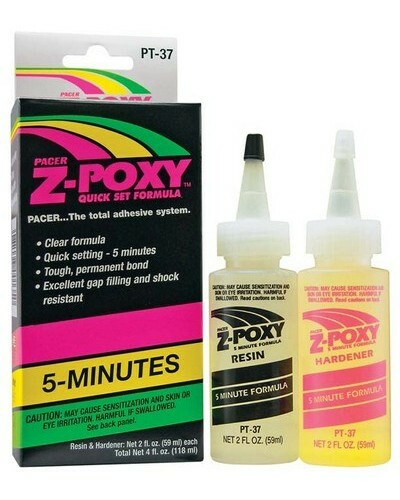 Specially formulated to bond to fiberglass, wood, metals, and plastics.